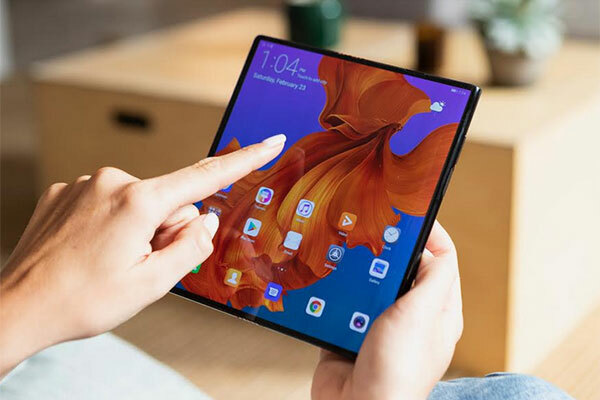 Huawei has unveiled the world’s fastest 5G foldable phone, Huawei Mate X, at the Mobile World Congress (MWC) 2019 in Barcelona, Spain. The Huawei Mate X features the Falcon Wing Mechanical Hinge, 7nm multi-mode modem chipset Balong 5000, a high-capacity 4500mAh battery supporting the world’s fastest 55W Huawei SuperCharge and the brand new Interstellar Blue finish. The 2-in-1 smartphone and tablet Huawei Mate X features a high strength flexible OLED panel and a falcon wing mechanical hinge. The revolutionary Falcon Wing Mechanical Hinge supports movement, balancing between the overall aesthetics and technology. When unfolded, the screen is a perfectly flat surface; and when folded, the two halves of the screen fit snugly to the frame. The two modes—smartphone and tablet modes—transition seamlessly from one to another. A new, purpose-designed 4,500mAh battery is packed in Huawei Mate X’s 5.4mm-thick body, combined with the AI smart power saving technology, fulfilling the demand for greater battery performance in the 5G era. 55W Huawei SuperCharge tops the battery up quickly to minimize downtime for those who prefer a fast-paced lifestyle. In just 30 minutes, Huawei SuperCharge is able to charge the battery back to 85 per cent.